Description:- Tricare tablet is used for pain.It decreases the perception of pain by blocking the transmission of pain signals to the brain. If you have a history of unconsciousness, head injury, fits (epilepsy or other seizure) disorder, If you have respiratory problem, If you have a metabolic disorder, If you have or had liver, kidney or stomach disease, If you have a history of drug abuse, alcohol addiction, mental illness, or suicide attempt, If you are having surgery, including dental surgery. Do not consume grapefruit juice before or after taking tramadol. Do not take this drug if you are consuming antidepressants (monoamine oxidase inhibitors). or have been taking them within the previous two weeks. Do not take this drug if you have history of alcohol or substance abuse. Consult your doctor if you have a history of a recent stomach or bowel surgery, or any other stomach or bowel problems (eg, pain, inflammation, ulcers. Do not take this drug if you have had severe allergic reaction to codeine or other opioid ( example morphine). 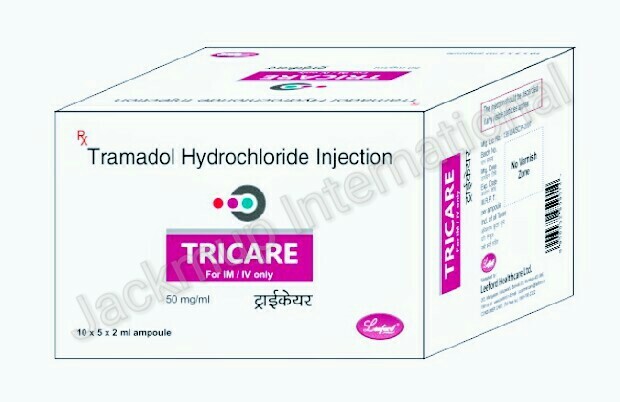 Tramadol can cause drowsiness and blurred vision and, therefore, caution has to be taken before operating an automobile or machinery or engaging in activities requiring mental alertness and coordination. Side Effects:- Dizziness, Sleepiness, Vomiting, Nausea, Dry mouth, Constipation.